What can an independent mortgage broker help with? An independent mortgage broker can provide access to mortgage deals and offers that are only available via professional intermediaries. If you are a first time buyer, or it’s been a long time since you’ve taken out a mortgage and you’re concerned that the market has changed significantly, you may feel more confident about navigating the mortgage process after seeking assistance from an independent mortgage broker. If you have an unorthodox financial background – for example, if you have problems with your credit history, are self-employed, or are a freelancer or contractor – it’s likely that these changes could make getting a mortgage more of a challenge. 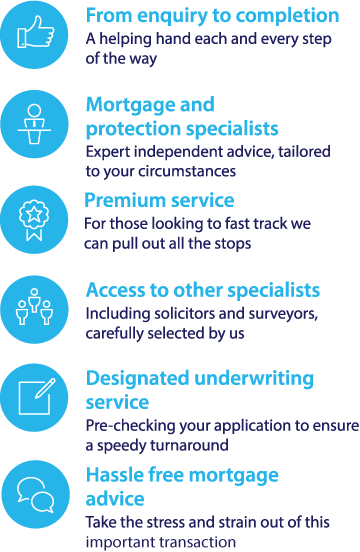 Consulting an independent mortgage adviser could help you to find the right mortgage deal for you. It’s important to ensure that you only take mortgage advice from a qualified professional. Mortgage brokers are regulated by the FCA, and you can check their status online using the FCA register. It is also a good idea to ensure that your chosen broker offers ‘whole of market’ advice – this means that they will aim to find the best mortgage deal for you from the entire range available on the mortgage market, rather than steering your towards a select pool of lenders.